Netflix CFO David Wells announced on Monday that he would be stepping down once the company announces his successor, as reported by CNBC. Wells has been CFO of the company since 2010, and has seen revenue grow 440.7% during his tenure. 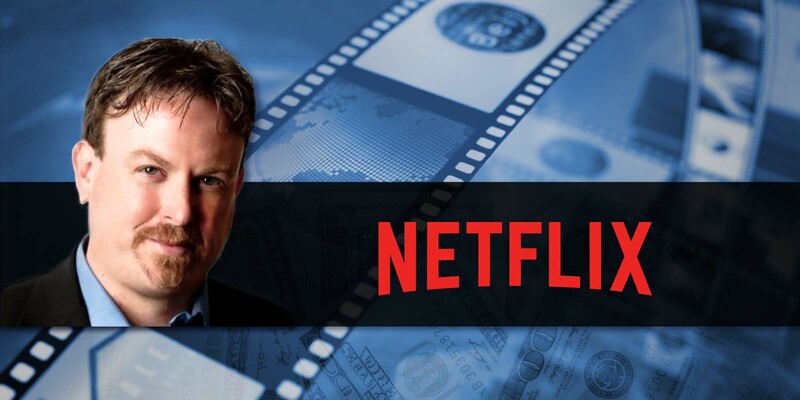 According to Equilar BoardEdge, Wells has been with Netflix since March 2004, and served in multiple roles before becoming the CFO in 2010. Before joining the company, he was employed by Deloitte, as well as a non-profit organization. 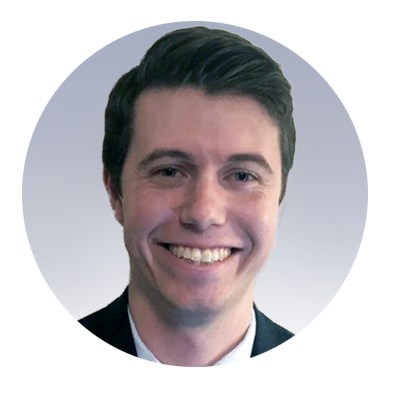 He currently sits on the board at Trade Desk, Inc. Wells received a master’s degree from the University of Chicago and a bachelor’s degree from University of Virginia. Over the course of his entire tenure as CFO of Netflix, Wells received total compensation of $23,654,430, with the highest annual compensation value surpassing $6.1 million in 2016. 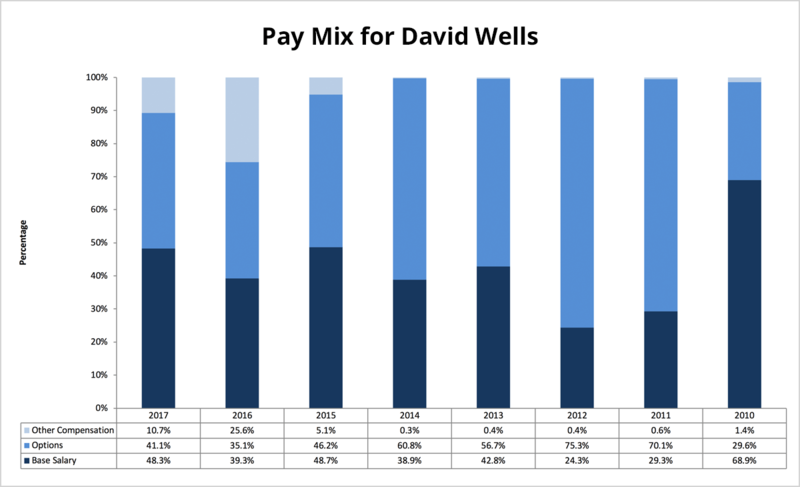 At just under $5.2 million, 2017 represented the second highest annual total compensation for Wells, while 2011, his first full year as CFO, represented the lowest total, at roughly $1.4 million. Almost 90% of his total compensation in 2017 was made up of a combination of base salary and option awards. He was not granted a bonus in any year as CFO, yet Wells’ base salary increased with each passing year. When compared to CFOs at Netflix’s proxy-disclosed peers, Wells’ 2017 total compensation is on the smaller side in terms of value, ranking 13th out of the 18 peers. Blake Jorgensen of Electronic Arts Inc. led the pack with around $19.3 million compensation received in 2017, $5 million more than Ned Segal of Twitter, the second-highest paid CFO in the peer group. Additionally, Wells’ total compensation for 2017 was less than both the median, $6,644,261, and average, $7,321,443, of CFOs at companies in the peer group. Below is a breakdown of total compensation of CFOs, including Wells, at Netflix peer companies. While there is no effective date for Wells to depart, Netflix will begin to conduct a search for his successor. 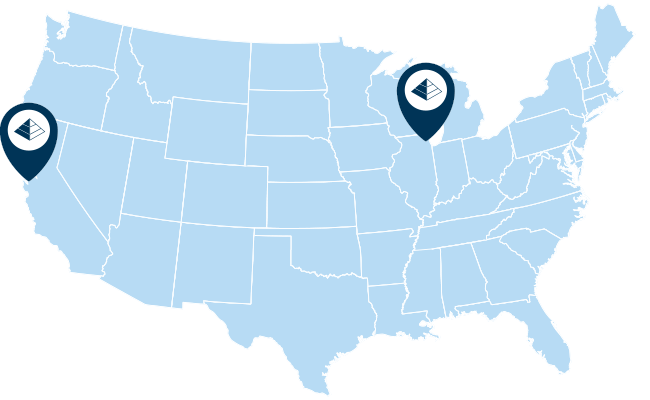 Attracting new talent at the executive level requires competitive pay packages, particularly on the same playing field as peer groups. It would come as no surprise if Netflix offers a pay package above the peer median to its next CFO, regardless of whoever that may be.